Although California is an at-will employment state, employers are legally bound to honor the employment contracts they sign with workers. Similarly, employers are prohibited from grossly misrepresenting the terms of employment in order to fraudulently induce workers to accept a job. When either of these violations occurs, impacted workers may have various options for holding employers accountable. Have the resources, skills and insight you can count on for effective legal advocacy and superior representation in any breach of contract or employer fraud case. Failing to promote workers according to the terms of the contract. The working conditions, job duties and/or job schedule the worker can expect. An employer’s failure to disclose certain important information regarding a job can also constitute fraud. Employer fraud can come in various other forms, unrelated to the employer-employee relationship. For these types of fraud cases, workers can proceed with whistleblower claims. Proving fraud – For employer fraud cases, it will typically be necessary to prove that the employer intended to misrepresent some aspect of the job, that misrepresentation was pivotal to the worker accepting the job or continuing to work in a specific position, and that the misrepresentation resulted in some harm or to the worker. 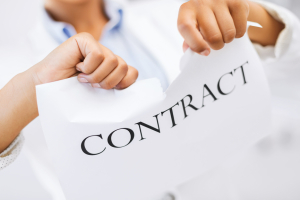 Potential remedies – Successful breach of contract and fraud cases can result in damages for back pay, lost benefits, and attorneys’ fees. Punitive damages and/or equitable remedies may also be available in some cases. If you have been harmed by an employer’s breach of contract or fraudulent actions, contact a Sherman Oaks breach of contract & fraud attorney at Koron & Podolsky, LLP to find out more about your options for justice. Call us today at (818) 380-3077 or email us using the contact form on this page for more information about your potential case and how to proceed. From Sherman Oaks, our lawyers provide superior representation to people throughout Los Angeles County, Orange County, Ventura County, and the state of California.